When will be The Mothers-In-Law next episode air date? Is The Mothers-In-Law renewed or cancelled? Where to countdown The Mothers-In-Law air dates? Is The Mothers-In-Law worth watching? This sitcom, which aired on NBC from 1967-69, marked the return of Desi Arnaz to series television. Arnaz served as the show's executive producer and appeared on a recurring basis. The storyline dealt with two feuding women who must learn to co-exist with each other due to the fact that their children have gotten married. 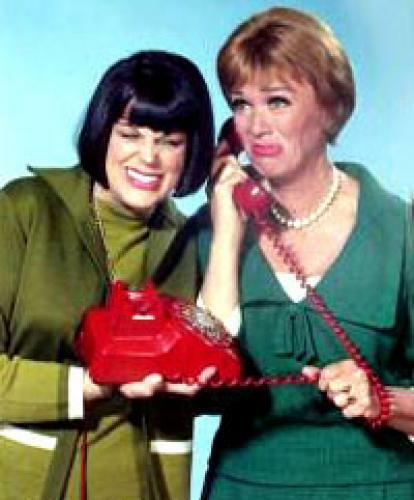 Eve Arden and Kaye Ballard starred in the title roles. EpisoDate.com is your TV show guide to Countdown The Mothers-In-Law Episode Air Dates and to stay in touch with The Mothers-In-Law next episode Air Date and your others favorite TV Shows. Add the shows you like to a "Watchlist" and let the site take it from there.